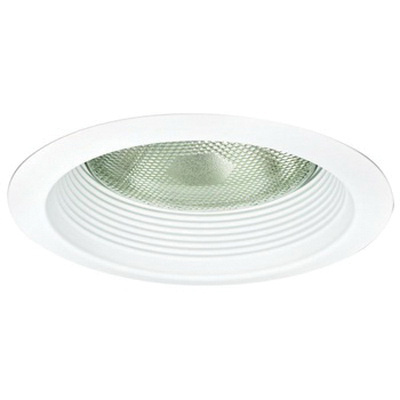 Nora Lighting Baffle cone trim in white finish, features 0.04 precision spun aluminum construction. The trim comes with flange. It accommodates 100/150-Watt BR40/PAR38 incandescent lamp. It has a dimension of 7-1/4-Inch OD x 5-1/4-Inch. It is compatible with line voltage housings. This trim is suitable for insulated/non-insulated and air-tight ceilings. It has 5-3/4-Inch shade. It includes two "V" torsion springs. Baffle cone trim is cULus listed. * Inventory displayed is accurate as of 04/23/2019 02:40 EDT.